Advisory Team - Students Helping Children Across Borders, Inc. Professor Cashman, Director of the Office of Distinguished Fellowships and Graduate Studies at the College of the Holy Cross, has been an instrumental asset for SHCAB since its inception. His expertise and insight were invaluable in helping SHCAB complete its Suzdal Initiative in 2012. As community development and networking coordinator, Professor Cashman will undoubtedly help shape the ultimate direction of the project. A resident of Worcester, Professor Cashman will also aid SHCAB in establishing, building and maintaining essential contacts throughout the community. We are very fortunate to have Professor Cashman's support and are excited to, with his expertise, turn this project from a vision into a reality. 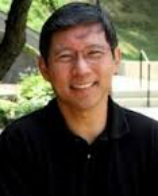 Professor Chu is the director of the Entrepreneurial Studies and Pre-Business Programs at the College of the Holy Cross. His expertise has been vital resource for SHCAB since its inception, especially during the process of applying for 501c(3) non-profit status. As a financial advisor to the project, Professor Chu will keep tabs on SHCAB's financials and ensure that funds are collected, managed and spent in the most efficient and cost effective manners. We are extremely grateful that Professor Chu is willing to offer both his time and unparalleled knowledge to the efforts of SHCAB. Professor Hooper, Assistant Professor in the History Department at the College of the Holy Cross, is a tremendous asset for both this project and SHCAB. Her great insight and energy helped craft the vision of this project and she has been an instrumental resource for SHCAB since its inception in 2011. 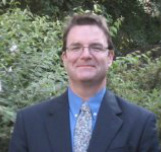 As special advisor to the project, Professor Hooper will be overseeing all grant writing and will work directly with the managing team to properly utilize all college resources to further the project's goals. Moreover, she will also help organize a very enthusiastic Holy Cross faculty movement and reach out to partner institutions to inspire city-wide faculty involvement. We are extremely lucky to have Professor Hooper's time and expertise and are inspired by her passion for this community initiative. Professor Wolfson, a Professor of Psychology and Associate Dean for Faculty Development at the College of the Holy Cross, is yet another tremendous resource for Working for Worcester and SHCAB. Her connections with both the Holy Cross faculty and administrators, as well as, those at other schools in the Consortium, will prove invaluable in the eventual success of this project. As coordinator of faculty development and participation, Professor Wolfson will use these connections to generate excitement about the project throughout the Worcester college community. We are very lucky to have Professor Wolfson's unwavering support and are looking forward to utilizing her expertise in achieving the project's goals.